I have been waiting for some time now before it became officially impossible to be healthy. In recent years the boundaries of health have been inexorably squeezed tighter and tighter. Recently, they snapped shut. The land of the healthy now no longer exists. Tis but a memory. I wondered if it would be cholesterol that would obliterate health first, but it turned out to be blood pressure. This was pretty much second favourite in my book. As with many areas of ‘health’ the definition of a healthy blood pressure has fallen and fallen. A few years ago we had go to the stage of a condition known as pre-hypertension. A state of having a high blood pressure that wasn’t really high, but represented an ill-defined danger of some sort. This pressure was set at 115/75mmHg. Far lower than the average blood pressure in the Western World. So you can check out for yourself that what I am saying is true. I put in figures for a healthy male, and then only changed the blood pressure level. As you can see, as the blood pressure goes up, the risk of a CV event goes up, and vice-versa. Going from 90mmHg to 150mmHg causes your risk to go up from 2.6% to 6.5%. A 250% increase in relative risk. What this tells us is that 90mHg represents the absolutely optimum blood pressure. Anything higher and your risk increases, and it increases quite steeply. By definition, this means that a systolic blood pressure of 90mHg is ‘healthy’ and anything above this becomes increasingly ‘unhealthy.’ Now it has to be said that a systolic blood pressure of 90mmHg is low. Pretty damned low. Indeed, I have been asked to check patients out because their systolic BP was 90mmHg, and the nurse was rather worried about them. I can hardly blame the nurse for this, because the definition of hypotension (dangerously blood pressure), is…yes, you guessed it, a systolic blood pressure of 90mmHg and lower. You can check this ‘fact’ on the National Institutes of Health site. This means that we have reached a situation whereby a systolic blood pressure lower than 90mmHg increases risk; and a blood pressure higher than 90mmHg increases risk. I suppose you could say that anyone with a blood pressure of exactly 90mmHg is healthy, so the land of health still exists as a microscopically thin sliver of habitable area. But for all intents and purposes, health has gone. Can it really be true that there is no such thing as a healthy blood pressure? In order to believe this you have to believe in the linear or log-linear model. A model that can, to a major degree, be laid at the feet of a certain Jeremiah Stamler. He stated that ‘the relation of SBP (systolic blood pressure) to risk of death is continuous, graded, and strong, and there is no evidence of a threshold.’ In short, as BP goes down, risk goes down, and there is no lower limit beyond which this is not true. Well, until you reach 90mmHg, it seems. This idea is based on mathematics, whereby Stamler took all the studies he could find, matched BP with risk, and then created his perfect curve. You can see how this type of thing is done by looking at a curve created by matching writing score vs. reading score. [I took this example from the internet1]. The dots may seem all over the place, but there is a trend from bottom left to top right. The curve is a linear model, which smooths out all of the data variations. Excel spreadsheet will even calculate a curve like this for you, if you have a graph with dots which may seem completely random. In the world of hypertension, the log-linear model rules. ‘This(the log linear model) is the paradigm for the relationship of all cardiovascular risks to blood pressure, and forms the foundation of the current guidelines for hypertension.’ These words from the European Heart Journal in the year 2000, since then the paradigm has not changed, and neither has the model. The latest CV guidelines are based on it. How could it be otherwise? Do you really think anyone has done a study lowering blood pressure from 100mgHg to 90mmHg? If so, think again. In fact the model was first created from the Framingham study data. This is the world’s longest running, and most cited, study on cardiovascular disease. It has been running since 1948 in a town called, unsurprisingly, Framingham in the US. Now, this would be all fine and jolly – if the model were actually correct. In 1980 Ancel Keys, who is not my favourite ever person it must be said, looked at the Framingham data. He concluded that the linear model, in terms of the relationship between overall and coronary heart disease was unjustified. Was this paper refuted? No, not exactly…. Which means that we are here. A world where health was finally extinguished by using a mathematical model. A perfect world for the pharmaceutical industry. Everyone is ill, and all shall have medications, for ever. This entry was posted in Dr Malcolm Kendrick and tagged cholesterol, CV prevention guidelines, CV risk tool, Framingham Study, healthy blood pressure, National Institutes of Health, Stamler on December 7, 2013 by Dr. Malcolm Kendrick. If the mind wasn’t already boggling, it would boggle even more! Don’t over boggle, it raises blood pressure. Might as well end it all right now…! Hadn’t thought of that! But will the whisky make my BP go up…..or down? We must do a double-blind trial…. A double blind study? Hey I’m always willing to get twice as drunk as last time. When I just started sipping on my first Scottisch malt whisky for this very evening, and at the same time looking into your present thread about BP-guidelines, I could not refrain from pulling out my BP-device. First reading was 121/72 and the next reading 5 minutes later was 112/66 which just PROVES that Scottish malt whisky is a very good remedy for people with serious heart problems! I firmly believe that it is also a dose respondence involved. I will tell my wife so she can go shopping for a few more bottles. The thing that concerns me more than the stupidity of the medical “experts” is the stupidity of Joe Public, who doesn’t seem to want to know the truth. 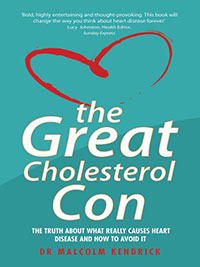 Ever since reading the Great Cholesterol Con, and consequently following your blog, I have tried to pass on your good sense and indisputable facts and logic to so many people……but the majority just don’t want to know. Sad, really. Tis true. But it was ever thus. The vast majority have other things that concern them. I just keep chipping away, and if I can touch a few thousand people, and help them to see things more clearly, then that’s good enough for me. Try whisky without the ‘e’. Far superior – and Scottish too. Inferior spirits are available. When’s your next book being published ? When I finish the damned thing. Now Dr. Kendrick that is the attitude. If each did his job of chipping away (and it is working better than most think or realize), great change will result. I feel it in my bones. I don’t drink, but I am starting. The rest of the bag of medicines are pretty much gone. So, despite the residuals, I plan to chip away as well. From small acorns doth big things grow or something like that. So true. I am a Scotch Irish to the core. I believe in fighting to the bloody end. And…I will. I know this is an old thread but I have a question for Dr. Kendrick. I have been on beta-blocker (Tenormin) for 26 years because my heart pounds like mad from a prolapsed mitral valve. My systolic numbers are still “high” – at home they are anywhere between 120’s to 160’s, my diastolic is always quite good, running in the 70’s and lower 80’s. It’s my pulse rate that concerns me – sometimes it’s on in the 50’s, once or twice even in the high 40’s. Is this normal? I don’t feel dizzy or anything, but since I have white coat syndrome, my doctor started me on some stuff called Losartan 50 mg daily. I took this for a few days, became very lethargic during the day, so started breaking the tablet in half and taking it twice daily. Oddly, my systolic pressure still runs high sometimes, so I have no idea if the Losartan is doing any good or not. I get really nervous every time I take my BP at home, and at the doc’s office it’s even worse with the white coat syndrome. How am I ever going to get this to balance out? And what about that low pulse rate, is that normal?? I also take xanax (prn) for my nerves which is getting increasingly worse because I’m worried about these stupid numbers! My word, it’s a vicious circle. I’ve never liked whiskey. Will a good brandy suffice? I await my annual blood pressure check with bated breath…! I’m not big on hard liquor of any kind, but I recently discovered Irish Whisky while making a drink I found a recipe for online. Wow, that stuff is smoooooooth. I also put about a tablespoon of it in my coffee or tea at night before bed and it helps me sleep. Also used it last time I had a cough and sore throat and it helped that, too. Not that anyone needs an excuse to drink the stuff, but it’s excellent. What’s the difference between Irish Whisky and Scottish Whisky? Oh heck, you have got me going again this weekend. Roll back over the last 10 years…..
B/P done X3 by nurse at surgery….. Prescribed antihypertensives…..then home readings of 90/60…. I shall speak to GP, I tell myself. ” MUST continue meds” came response. BUT I HAVE WHITE COAT HYPERTENSION, I RE-ITERATE. ” things have changed since you were a Nurse”, I am told…..
What’s a poor old, retired Nurse to do? I decide to avoid the surgery, and wish I had done so years ago!! RESULT? Fit, healthy, slim, cheerful, energised and getting compliments about how I look in the absence of poly-pharma. But am I not SUPPOSED to be UNHEALTHY?? I am 66 and looking forward to 86, yet wondered if I would make it to 65, after 10 years of what, I now believe, were unnecessary medications. But who wants to discuss such things with an old woman? Hi Jennifer – I just wanted to tell you about my step mother who is a retired nurse in her 70’s. We talk about diet quite a lot and she expresses confusion about the latest advice (whatever that happens to be). She showed me her nursing book that she got when she was trained in the 1950’s and I was shocked to discover that the advice for people who have gained weight, which of course was pre-low fat days, was to cut back on carbohydrate foods – yes really!! The rest of the dietary advice in that book looked pretty good too even though it wouldn’t pass today’s pyramid or plate thingy. I said to her, keep on following the dietary guidance in your book from the 1950’s and I think you’ll be fine! I have written quite a long reply to Janet, to express my views on the subject you have raised. I had a discussion with a young endocrinologist earlier this year. He asked what it was I was doing now to have reversed all my bad symptoms of the last 10 years, and consequently presenting such a healthy blood profile. 2) returned to my physiology lectures of the 1960s. Jo – things are changing not least in Sweden. I’ve alreaddy med a start on the dbleblind whiksy studdyy…it’s goin greeeat! You are under the affluence of inkahol! Great post — it’s very enlightening to understand these ridiculous but consequential historical underpinnings. Speaking as an occasional Whiskey (Scotch, of course) drinker — I think some distant-relative lowlands-residing MacKillop even makes a world-class competition variety that costs upwards of $500 per bottle — whose systolic BP ranges from a typical 90 mm of mercury (when I am working out at the gym somewhat regularly) to 110 mm (when I am not working out at all) and whose coronary calcium score is zero (age 55), I suspect that my genetic susceptibility to CVD is quite a bit on the low side of the mean (while I have greater than average susceptibility in other tissues, it appears). My apparent CV (and renal) health has not been due to “clean living”, I suspect 🙂 But I am probably a pretty good example of an individual with optimal genetic composition for BP living a typical Western-country lifestyle — in that sense, the 90mm optimal SBP does not seem too ridiculous, although I am sure you are correct that the simple mathematical model IS quite absurd. I am curious, though — what do you think of the usefulness of ED tests (e.g. EndoPAT) as a clinical indicator for early atheroschlerotic progression? I saw your post about the heart-rate variability — the problem with this, I would guess, is that nobody can make any money by selling a new machine to measure it (since a common $25 wrist-worn ECG device already seems to do a perfectly adequate job). Don’t know if you ever have any personal communication with Gary Taubes, but he has repeatedly referred to Jeremiah Stamler (not by name, but it is obvious who the individual referred to is) as “one of the worst scientists” he had ever encountered in his life, and since his area of journalistic interest had already been developed to focus on bad or erroneous science research (largely in particle physics) he was lured into the diet and physical degeneration area after one initial phone conversation with a pompous Stamler. It is also pretty amusing, given that Stamler was Keys’ main sidekick, to learn that even Keys did not buy into this silly log-linear model. I suspect that the log-linear model was selected as the most advanced level of schooling that Stamler was able to achieve and comprehend in the mathematical branch of the pure sciences. Aptitude in the others (e.g. chemistry) is probably of similar magnitude — MDs in the US, unfortunately, seem to be not generally too capable or knowledgeable in the subjects of science and engineering. Some are better at politics. There are so many problems with this – (apart, of course, from the prospect of a fine malt whisky) – I am clearly naive, I cannot for the life of me work out why it is good for any government, any Health Authority, to define all of the population as unhealthy and medicate them unnecessarily. What proportion of the GDP of any country is spent on irrelevant investigations as well as unnecessary medications. On a personal level, I find it rather alarming that I no longer have a GP. 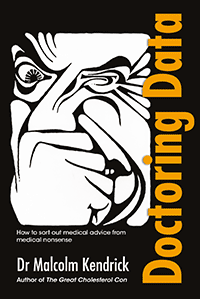 When you choose to ignore the repeated advice of your GP, when you clearly indicate that you think his opinion is twaddle – all mutual respect has gone out of the window. I find it quite scary on one level, but not scary enough to take medication that I know I don’t need. My latest call for a mammogram, complete with information that says that 1 in 200 women will have a cancer diagnosed earlier, but 3 in 200 will be identified as having cancer and treated although the tumour would never have developed to do them any harm. And it doesn’t say anything about how many are recalled after the first mammogram and have all the anxiety related to that. It’s a no-brainier for me, another medical procedure dispensed with. Hopefully my Magnesium and Iodine supplements will give me a bit of protection – at least do no harm! Your comment triggers some thoughts based upon my own experience (some of which you can read about in nearby comments of mine). My “two cents” in response is that you are doing the best thing in your own interests by not elevating the advice and opinion of your GP to an inappropriate level vs. your own. Despite my own similar experience in rejecting much of my own GP’s advice I do respect him and have decided that I am unlikely to find another doc in my area who is even as good, much less better. Hence, I have to “fight the good fight” over recommendations I disagree with, and do a lot of research on my own. I think that my GP and I have managed to maintain a fairly high level of mutual respect over the years, despite much debate over various bloodwork results and how to interpret them, what to prioritize and so forth. I sympathize with the position of the MDs, because they are under all sorts of regulatory, legal, economic and related pressures that most of us not in their field do not (and cannot, due to confidential contracts and so forth) fully appreciate. But the other big factor is that (especially in the age of the internet) we as individuals can focus in on just our own particular issues and conditions and become pretty expert in the research on these, whereas the GP has to “treat” everything amongst all of his patients. He or she cannot possibly be expert and well read in most of them, and probably often enough not in any of them. And so for practical reasons most GPs must look to the mainstream guidelines in order to determine their course of action for each case or patient. And of course the mainstream guidelines are dominantly the product of large and powerful institutional (governmental and commercial, in that order in my opinion even though the governmental are usually coopted by certain commercial) interests. The scientific evidence very often lags (by decades) the perceived need (or opportunity) for the mainstream guidelines to be generated, and it is too late to change the guidelines based upon research once the institutional interests have become entrenched. But if your GP is inappropriately dismissive of your own opinions based upon comprehensive reading of the research literature, then you might be able to find a better one. In most cases an individual patient can very quick and easily understand the reason for the advice of the GP by going to the online mainstream guidelines (e.g. WebMD.com) — I have found a perfect match in general. After this, and one’s own reading of the basic (and epidemiological when appropriate) research, one can makes one’s own tradeoff without completely dismissing the advice of the GP. And one is in a reasonable position to have a discussion with the GP, somewhat understanding his or her point of view. The thoroughness of preparation for an ultimate personal decision that my GP has often motivated (by countering my initial judgments) is not a totally bad thing, and in the end I have made those decisions with a high degree of confidence. As a peer (i.e. not an MD, as I assume that you are not) in a similar situation to your own, those are my thoughts — I hope they might be helpful. If early detection of breast tissue abnormalities is high priority then why aren’t women being told about the early detection rates through Digitial Medical Thermal Imaging? It is a safe, non-invasive check that detects changes up to 10 times earlier than mammography. It is quick and painless. Any abnormalities can then be referred for further investigation. Hope this will be of assistance to you. But at least the MDTI doesn’t irradiate the tissue, nor squash the breasts in a contraption more designed to make toasted sandwiches. And false positives are pretty high in mammography too I believe. Alastair. I agree up to a point. But the main, main, problem with all screening programmes is picking up ‘abnormalities’ which may, or may not, be significant. Counter-intuitively, the earlier you pick things up, the worse this problem becomes. For a fuller analysis of this issue read Peter Goetzsche’s work. P. S. By the way, I am a “victim” of so-called “primary hypercholesterolemia” (LDL-c typically ~250mg/dL and sometimes ~350mg/dL, apparently depending upon how many eggs I happen to be eating per week) and have had to fight the good fight with my GP over statins and any other pill to pop for the purpose of reducing serum concentrations of this particle that my ancestors have apparently evolved to treat as a valuable nutrient not to be wasted. As part of this saga, my GP became convinced that my fairly high serum creatinine readings were an indication of stage-2 chronic kidney disease owing to nephron blockage from “cholesterol”. I was ultimately induced, after a couple of years of listening to this nonsense, to perform a self-ordered 24-hour (urine collection) creatinine clearance test (which includes the serum creatinine test as well as the urine parameters) — this resulted in a creatinine clearance rate outside of the normal range on the HIGH side. As I suspected, I evidently have a very high creatinine synthesis rate and this makes the so-called eGFR calculated number (based upon only one measured value and population-wide means for all the other parameters of the homeostatic model) grossly inaccurate for me. The cystatin-C test seems to be an alternative single-serum-parameter test that is much more uniform in results amongst different individuals, but it is not favored by mainstream medicine in the US (except by nephrologists) and is quite expensive and limited in availability (I cannot self-order this test, for instance). I eat a LCHF diet, and I believe that the homeostatic model that has been developed for the typical Western population (wherein a HCLF diet is dominant) is completely invalid for those on my diet. I believe that the reason for this is that the small intestine becomes the dominant synthesizer (as well as absorber) of endogenous cholesterol rather than the liver — after all, many chylomicrons must be produced and very few VLDL particles. I speculate that the small intestine behaves very differently than the liver with respect to homeostasis of serum cholesterol. A very significant minority of people on diets similar to mine (which is ketogenic, as verified by serum beta-hydroxybutyrate readings) have similar LDL-c readings. From what I can tell, they all seem to eat a LOT OF EGGS — it makes sense, since this is incredibly good nutrition for the cost in Western societies. I reduced my serum LDL-c by between 50% and 60% by eliminating eggs and liver from my diet for a few weeks. An experienced local hypercholesterolemia specialist had never seen such a pure dietary result in her entire career (20% was about the highest in her experience, but those individuals probably all ate the recommended HCLF diet). I also LCHF. I do respect the view of my excellent, young GP with regard to other issues, but he does seem to be ‘hung up’ on Cholesterol / Statins. But I entirely agree with you, I probably spend a couple of hours a day, minimum, reading ‘stuff’ of direct relevance to my own personal ‘condition’ – not that I think I have one – I am defined as having high total cholesterol by all definitions (it’s 9.6) but I feel fine and am well and regard it as, well, irrelevant. My HDL is high, my Trigs are low, I’ve read all about the Friedweld (is it) v the Iranian equation – to be honest I can’t be bothered reading about it any more, I’ve got better things to do with my time!I’ve been obsessed – but I’m better now, honest! But I sort of get the impression that if I walked in with a gun-shot wound by my doctor’s perspective it would be directly linked to my high total cholesterol (and my refusal to take advice!) Maybe I’m misjudging him. But I do find this move to define everybody as abnormal / unhealthy as scary. I know virtually nobody of my generation who is not on regular medication, most are on multiple medications. I am quite sure that there will never have been long term clinical trials on these cocktails of drugs. My grandmother was very healthy, at the age of 89 she was admitted to hospital with a fractured neck of femur, I was with her when she was admitted. She was asked by a young doctor what drugs she was taking, she looked confused so the doctor asked, “What medicines do you have?” Her reply was priceless, “When my grand-daughter here was being born I took an Aspirin because I felt unwell, it laid heavy on my stomach, so I’ve not had any medicines since.” I was 36 at the time. I am not sure that the current situation, with everybody taking a multitude of tablets for questionable ‘illnesses’ is an improvement. In answer to Ken. Fantastic response, but it has taken me a couple of reads to fully digest, due to my long-term, statin-induced, impaired cognitive ability. I have long thought that ‘acceptable’ and ‘unacceptable’ blood, urine and B/P averages, based on any population cohort, must be questionable. Am I being too innocent to think that we might benefit from merely seeking medical advice to as and when we feel unwell? Constant pressure to succumb to endless screening investigations, which are aimed at finding variations from such unrealistic ‘norms’, are thus proving lucrative to big pharma, whilst reducing us to being consumers of the pharmaceutical model, in which we are brain washed into taking all manner of medications. In my case, poly-pharma caused me to morph into an ill and dependant patient. I know this to be true, for without them, I have now returned to excellent health…BECAUSE……I was never ILL to begin with.. It was just that my screening results fell outside the fashionable, unscientific ‘norms’ of the day. Of course, we patients can’t easily dispute the set parameters, and my GP, point blank, would not enter into discussion. I was left to come to my own conclusions— not an acceptable situation, believe me, but I am all the better for taking the leap of faith and trusting my own research. Dr. Kendrick, I loved your book. It was fascinating. I so enjoyed statin nation, too!! I, too was put on B/P meds with a history of rather low B/P, 126/65. I am beginning to think they are trying to kill me. I can do that myself and have a lot more fun in the process if I have a mind to. I tell you, Dr K…I have not been well since I stopped smoking!!!! Over the last few years I have eaten low carb, exercised daily, and lost 50 lbs (BMI is now 18) thinking I might stay healthy at 72 yo. A few weeks ago I stopped in on my local doc to have my good health documented (it’s all about the documentation, you know). Looking for something to treat, she noted my BP around 150/70 and my ankles a little “puffy”. Let’s try a little diuretic, she says. Well after three doses of the “little diuretic”, aside from the nausea, dizziness, muscle pain, and sore mouth, I found that my blood pressure was 88/48 and my pulse was 120 and irregular with my ankles looking like butternut squash sitting on my shoes and my fasting blood sugar at 150 +. So now my BP was where my BG was before, my heart rate was where my BP should have been, and my BG was where my BP had been before.. I think she might have made me sick enough to need more meds. Here in Texas, I will be having a sip of Southern Comfort and leave off the “little diuretic” to see if I can get healthy again. . I like your thinking. The problem we have here is that I just do not like Southern Comfort. A touch of Jack Daniels is what you really need. Better still Highland Park…nectar of the gods. All because I had turned up, in a rush, for a HEALTHY WOMAN screening, and hey, ho, my B/P was, as could be expected, elevated. I am following my Mother’s regime, bless her…..a tot or 2 of Single Malt before bed, and a stash of unopened boxes of various medications she had turned her back on. She lived well and independently to 76, but had, unfortunately, smoked in her younger life……..in the days when GPs advised those of a nervous disposition to take up the weed! Nervous disposition? She had 3 children, a lovely husband returning after 6 years of war, and UNDIAGNOSED CHOLECYSTITIS for 25 years. As an 18 year old student, in 1965, I was able to diagnose her symptoms within a week of my starting training, and she had the offending, remaining gall stones removed. 25 years of agony passing gall stones, and a treatment of ‘ have a fag, you are a hysterical, over anxious female. Oh, and I will send you off to a psychiatrist’ I could go on…..sorry. Hi Jennifer- Sorry to hear about your experiences too. As one of the ‘old nurses’ who started training in 1959, I have watched both my mother and grandmother slide to their demise in the same spiral you described. I have been able to avoid this track by staying on the LCHF eating style so far. Like your mother I have a basket of many kinds of meds I have not taken. When I confronted the doc about which would cause more damage for me: the 150 BP or the 150 BG, she could hardly breathe and didn’t have an answer for me. (I think it will be the high fasting BG, but could be wrong) She finally agreed I could monitor my BP at home and take 1/2 tab of the diuretic if the reading was high. I think I’ll need to take that bottle of Jack Daniels, recommended by Dr. Kendrick, to her for Christmas. In the early 1970’s my mum-in-law was told by her doctor to relax and start smoking to help her angina symptoms. She didn’t follow that advice but stayed on medication for about twenty years. Then she decided she didn’t need medication anymore. She lived drug-free and symptom-free for next 15 years and finally succumbed to old age at 94 years of age. You mention optimal values as being 110 for systolic BP. However the guidelines state that 90 is the lower end of acceptable values. The optimal is recorded as 110. Yes, well. If 110 is optimal, how can it possibly be that your calculated risk is far lower at 90mmHg than 110mgHg. What does the word optimal mean? Or has language in this area lost all meaning. The dictionary definition of optimal = Most favorable or desirable. optimum. Is it the case that when protein/blood is found in the urine, this may be because blood pressure is too high, whatever the specific reading? No wonder some of us suffer from white coat syndrome. My BP was always on the low side and I never worried about it at all. Then came the day when seeing my GP for something and part way through the consultation he jumped out of his chair saying how can we have missed taking your BP. It is way overdue. I believe something must have flashed up on his computer screen because this had no bearing on the conversation. I could feel my BP rising as the cuff tightened around my arm and when he told me to relax I knew that something was up. He said it was a bit on the high side and if it didn’t come down it would need to be treated. Whaaaat? Never having had any trouble with my BP and after one reading he was threatening me with BP medication. I went through the obligatory series readings with the nurse and although they were lower I totally felt the onslaught of white coat syndrome each time I went through the door of the surgery. My home readings all through this were fine. My GP decided that I was indeed suffering from white coat syndrome and left me to do my own readings at home and so thankfully I avoided being put on medication. This was some time ago and although I do my own readings now and again I do get concerned going to see my GP in case he springs something else on me out of the blue when I am not expecting it. “Computer says”……that’s a comedy sketch on the telly. Almost as bad as the present fashion of diagnosing via the phone, leading to inappropriate prescribing. I remember when that system was introduced in the Australian Outback….it was probably a life saver for some….but my GP is only a mile up the road!!! Receptionist…..”your flu jab is due”. GP…..what can I do for you? Relative…..garbled description of signs and symptoms given. GP…..lets see…..OH, your flu jab is due, so lets get that out of the way first….then, how did the medication work? Relative…made things worse…..so you don’t think it is the condition diagnosed over the phone 4 months ago? GP….no, but I will get you a referral asap. Consultant……..shaking head…..phone diagnosis, and absolutely the wrong medication for the condition. I bet you think I am making this up……well, it is exactly as it happened. would have said, ” it’s all a load of old s**t”, as you will live till you die”. Here is an excellent video by Professor Peter C Gøtzsche it mention statins briefly at the end. It present the general sad condition modern medicine find it’s self in. Just watched the whole of that video, which is horribly terrifying. It’s enough to put you off visiting your GP ever again! I know someone who is on the psychotic medications described as being so dangerous. When that person tried to come off them and became ill again, the doctor’s advice was to go back on them, indefinitely. No other treatment other than this. There doesn’t seem to be any way out once you are in that situation. Where do you go when the doctors are not on your side? Especially with illnesses related to the mind, people are very vulnerable and can lose their family if they don’t do as they are told! As per the poor woman in the news recently whose child was forceably removed! We need to hear that we can’ truer everything g with drugs – even prescribed by our GP. Thank goodness there are such folk as Dr K and Peter Gotzsche to warn those who are willing to listen, otherwise we’d all be drowning in a sea of medication. I remember my picking up parents’ huge bags of medications from the chemist, some of which were taken to counteract the side effects of the others! It served to make me very wary, and I certainly wouldn’t touch a statin with a 10 foot disinfected barge-pole. Charlie, many thanks for this link. It made dismal viewing. 30 years ago I completed an 8 week stint working in a major psychiatric hospital, and learned one practical thing……to do all in my power to prevent contact with such services for either myself or family members. I now feel much the same about general medicine, as both disciplines are closely linked. I have stopped attending diabetic follow-ups. I was sick to death of being asked if I was ‘depressed’ (I could sense another tablet wending its way onto my repeat prescription list!). We all have times of sadness in our lives, but this concept of depression has escalated out of all proportion. An upward spiralling percentage of the general public are being engulfed by the ever lowering parameters ‘thus requiring medications’, creeping into place. I am thoroughly disappointed at the state of modern medicine, and at the accusations of apparent dishonesty infiltrating it. This year, I have abandoned the tread mill of never-ending clinic appointments, and the monthly repeat-prescription chore. The dominance of the medical system by the pharmaceutical industry had made me more unhealthy than I ought to have been. If I can accept that at my age some systems will not function quite as well as they did in my younger years, may I suggest that the medical profession accepts that such deficits do not always require a chemical (i.e. drug) intervention. That’s where the Nursing profession has let the public down too. I suspect none of this is news to the contributors. But what are we to do about it? Over to you, Dr Kendrick, please keep up your good work. Problem is we can’t put all GP’s in the quack category – I had my first general checkup in my life last year at age 37, panels all came back great except “elevated” cholesterol at ~5.5 I think, and excess uric acid. Thing is I went in there for a foot that I couldn’t walk on anymore, which tends to flare up after a run. It seems to be gout – which any old doc would say lay off the red meat red wine etc. In the end he told me to give up running long distances and asked about my diet – I told him I’ve been mostly high-fat carnivorous/ketogenic for a few years and he barely blinked – asked if I was doing it for weight loss (I’m 10-15lb fatter than I’d like to be, but nothing too bad after a lifetime of glucose abuse) or for athletic stuff. In the end I took a NSAID and it cleared up within hours. I still get twangs in a joint once every few months, but it just seems pretty damn random TBH. Ash, I have worked with, and been treated by, some great GPs, surgeons, and physicians . I would like to give credit where credit is due. As an almost blind 5 year old, I had my sight restored beautifully. As a 9 year old I had horrible tib and fib fractures set nicely, and as a 60 year old, I was given a new lease of life by a very clever gynaecologist. Each procedure needed the essential use of drugs, for which I am very grateful. But there now seems a culture of seeking out things to treat with drug concoctions, conditions which are actually not bothering individuals in the first place. Such interventions frequently result in a deterioration, rather than an improvement, in health. Yeah, just putting up some balance. Charlie, this was a fascinating video. Although absurdity can surely make us laugh, it can make me cry as well. Once, when I went through a particularly trying time in my life over 23 years ago, they gave me anti-depressants. I felt worse than ever. I could not think, talk (dry mouth) or function. I got off them. Time heals all wounds. As it turned out, I was simply going through something that would work itself out in time. Psychiatrists have become some of the most lazy and passive of all doctors in the medical profession. I say…do your job. Listen, advise, empathize and talk for goodness sake. When I learned that my liver enzymes were “slightly elevated” and nothing to concern myself with, I really knew statins were about to kill me. They almost did. I am following in the path trodden by your mum in law, and hope that I too, will now enter a reasonably healthy old age without drug therapy. As I age, I have time to reflect on the silly things I have encountered in my life, and how compliant I have allowed myself to be regarding things medical. I digress from the general theme of Dr K’s blog, and hope he does not mind me introducing these topics, but I think the following points are relevant to the discussion in general. How on earth did I take on board ‘advice’ from obstetricians and midwives, back in the early 1970’s, who pushed us young mothers into feeding formula ‘milk’ to our babies, when our grannies told us otherwise? I see now that big business was behind it. Why did my trusting husband accept a totally inappropriate prescription for Ativan, when suffering bouts of breathlessness brought on by exposure to the cold winter mornings of the 1970’s? ( He never got it dispensed after I advised him as to what the drug was). In retrospect, I now see that the pharmaceutical business was just entering an exponential trajectory at that time. Why have I taken so long to abandon the silly dietary advice of NHS professionals aimed at controlling type 2 diabetes? Well, we have now learned the errors of Ancel Keys’ dishonest research. Why did I not press my GP for more discussion regarding statin therapy, after reading Dr Kendrick’s book when it was first published?Strange, isn’t it, how some publications get excellent coverage on telly and in the press, but not his book? How come, as a State Registered Radiographer, qualifying in the mid 60s, and so fully aware of the risks associated with ionising radiation, I went along, tappy-lappy, for 3-yearly breast screening examinations throughout my adult life, without question? Even now, I cannot answer the futility of it all, yet I studied the causes and types of breast cancer whilst spending 9 years as a surgical nurse. And even today, why am I such a wimp, that I am staying away from the surgery, rather than confronting my GP, who stated earlier this year that I would be very ill if I so much as reduced the excess quantities of drugs I was consuming? It is because I can’t risk further confrontation, and jeopardising being ‘struck off’ the panel. I have been in active politics over many years, and watched the correlation between our democratic health systems evolve. But somehow, we appear to be going 3 steps forward, and 2 steps back. Just how do we get more honest and trustworthy publicly funded health services? I feel that such blogs as this can guide the masses through the fog of false claims and ambiguities, so I will keep my fingers crossed ( as good a method as anything else I can think of), for a better future. If you have been active in politics for many years and just watched those correlations evolve, you must be active enough to do more than just cross your fingers and hope for the best. Hope is not a plan. If you truly believe you have been guided through the fog of false claims and ambiguities, then you must allow your voice to be heard through…of all things…politics. Now I know this might seem a novel idea, but as someone who now knows what you do, you must do your part aimed at the “chipping away” through confrontations of your government who is supposed to have your best interest at heart (no pun intended to those past statin users). If enough of you do that, many great things can occur and we all don’t seem so wimpy and afraid to go toe to toe with our health care providers and those who serve in the government. Uncross your fingers and use them to contact your governmental officials to listen and share what you know. If enough do it and ask them to read books like Dr. Kendrick’s or review Statin Nation and many others, they will get the picture. It won’t happen overnight, but it will happen. I have left messages for my health care providers to review Statin Nation, Dr. Kendrick’s book and Dr. Duane Graveline’s website ( one to whom we owe a great deal here in the USA) to name just a few. I know that at least one of them will and did take my advice. Dr. Kendrick feels that if he can save a few thousand, then his life’s work will not have been in vain. I say he probably will, with the help of his like minded friends have the power to change the thinking of an entire generation. If people can be swayed by the likes of Ansel Keyes, then why not someone who can really make it all clear for the right reasons based on clear scientific evidence and a plethora of anecdotal accounts too numerous to ignore. It is important and who cares if for some it goes in one ear and out the other. For many, it will sink in. Start and keep chipping away. Your post was enlightening considering you have seen both the positive and negative through your own touching life story. I was as wimpy as the next person at one time. Mary, thanks for your thoughtful response. Actually, I did make the decision to return to the political scene a few weeks ago. I had a spell away because I felt no one was listening. But you are perfectly correct, we must keep chipping away with these very important messages. I feel stronger now because I am so much healthier. I am told that my tale is ‘anecdotal’ and therefore of no value, but I take your point, it is not acceptable to just sit back with my fingers crossed. Jennifer, good for you. I used to ask my father who was a lobbyist how he dealt with the frustration of working so hard to have laws passed, getting so disappointed, and having to “compromise” so much. He said, well you just don’t give up. When the judges try to legislate from the bench, you just have to go back and work with congress to teach them who the lawmakers are and start all over again. It was that drive he had to never give up and to accept defeat and success as a gentleman which helped him to strengthen his resolve all the more. No matter what came his way, he never flinched. Anecdotal stories were actually a great part of what motivated Dr. Duane Graveline to do as much as he has in the last 20 or so years to further the cause of spreading the word about the dangers of statins. It meant a lot to him. Best of luck to you Jennifer and never give up!! Don’t call it anecdote. Call it, patient reported outcome measure (PROM). It is the same thing, but PROMs are accepted in medical research. Everyone always dismisses anecdote, but PROMs are scientific. PROMs. Patient Reported Outcome Measure. Well, that is just what we needed to know. Glad I read this in time. I was just composing another e-mail to my Congressman when this popped up. Thank goodness. This sounds a lot better, Jennifer. Now, do what you know is right and don’t flinch. Thanks Jennifer and Dr. Kendrick, duly noted. And after all proms are the result of the human scientific studies anyway. How else could they manipulate…uhhh…I mean obtain and record the results? Another thought is just worth pondering. I am not even sure where you are but when you think about the damage statins for instance are doing to those none the wiser, recall what happened with the tobacco industry and its huge lobby. Eventually, the truth that the cigarettes contained more addictive qualities than previously thought or reported finally came to light. Now we think of any of us who still smoke are crazy. The tobacco industry took it on the chin, but the efforts of those who knew the dangers of smoking would not let it go. Look at how many lives have been saved as a result of smoking bans and all we have learned about the dangers of smoking? Just keep chipping away, friend. And remember your patient reported outcome measures (PROM). People know…and sense something is amiss…and God does too!! I have another question…..There is so much talk/worry about the systolic being high. What about diastolic? is that number significant? What can it mean if the systolic is always normal but the diastolic is around 100? Does it mean I just can’t relax?!! should I worry? Having just read the (excellent) Cholesterol Con book through a couple of times I’m struggling to make sense of the BP aspect. In the commentary on EUROASPIRE (~p.125 in my ver.) it is emphasised that no correlation between raised BP and mortality was indicated. Similarly IIRC indicated by the ‘Asian Emigrants’ study, and probably some other places I’ve forgotten. of heart disease). Later (~p.217) similarly (and here it is also suggested that metabolic syndrome is very likely caused by the HPA-axis dysfunction / cortisol levels). Isn’t this somewhat contradictory? I don’t think I understand BP at all really but it would seem that it SHOULD therefore correlate with heart disease risk? In fact the p.217 list confused me in general as it seemed to be suggesting that the abnormalities (‘classical risk factor’ kind of things such as raised LDL, low HDL, raised BP) that were supposedly being discounted/disproved -to be slightly simplistic- as being linked meaningfully to CHD are now here being directly caused by the/a central villain of the piece? The only way I could see a chink of light here was to assume the word ‘abnormalities’ here (on p.217) was implying something beyond some kind of new wider normal range and was only really referring to very extreme scenarios. But not at all sure this was the meaning here. Some personal motivation here is that my own BP was indicated as being ‘somewhat high’ a couple of years back (unfortunately lost the actual numbers) but luckily my GP doesn’t seem too trigger-happy and the subject has not been revisited since. More pressing is that my wife has been told she has high BP and put on ACE inhibitors (Lisinopril), somewhat to my horror, (but not Statins) hence I am trying to understand the arguments. Your (Dr.Kendrick) last post just here where I am replying does certainly seem to be suggesting that BP is significant. I had vaguely supposed BP was more a by-product than a cause, so don’t currently understand why one would necessarily try to lower it, add to that the cited study results showing no correlation with CHD etc. Is it that the significance of BP is as a measure of clottyness rather than pressure per se ? The best and most effective diet I have ever been on (actually a lifestyle choice) is one that includes animal protein, fresh vegetables, and some healthy carbs (whole grains, sweet potatoes, brown rice and pastas in smaller amounts). Processed white breads and white sugars are out of the question. I lost a good deal of weight, had energy to burn and was satiated because fats taste great, enhance the smell and texture of food. When added with a great deal of vegetables fresh or raw, do wonders for the waistline. A reasonable but consistent exercise program of walking at least 20-30 minutes a day is good for the body and soul. When you are trying to lose weight, it is wise to eat your fruits at intervals between meals (at least two hours from a regular meal) to avoid those spikes in insulin from even natural sources like fruits. Hi, can high blood pressure meds cause lower leg pain. If you want to come of the meds what is the best way to do it.